"Are you thinking what I'm thinking, B1?" "I think I am B2!" Everyone's favourite duo is back in style in this classic Bananas in Pyjamas Adult Costume! Bananas in Pyjamas Costume is perfect for a cartoon costume, or a tv show costume! 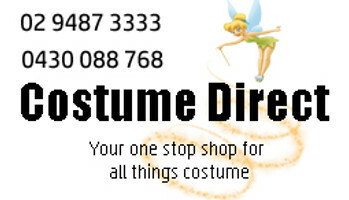 Includes: Top, Trousers, Head Piece and Shoe Covers. Also includes B1 and B2 interchangeable numbers! This is one costume only. Buy two for a classic couple costume as B1 and B2!